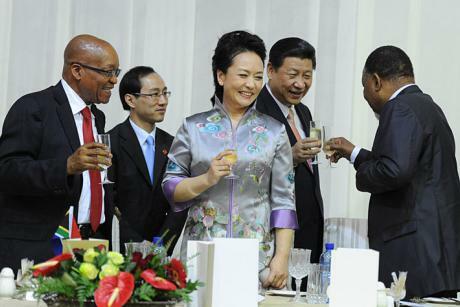 China’s growing importance for Africa is under increasing scrutiny from politicians in the West. This led an international research team, with members from the University of Heidelberg, to focus on Chinese development aid. The results show Chinese development aid for Africa goes predominantly to home regions of leading African politicians. This also applied when there was greater need for aid in another part of the same country, the authors write. “Leading politicians in recipient countries spend a portion of Chinese aid on personal interests, which can restrict the effectiveness of the aid,” said Axel Dreher. Along with Andreas Fuchs, Dreher hails from the Alfred-Weber-Institute for Economics at the University of Heidelberg and was among the authors of the study Aid on Demand: African Leaders and the Geography of China’s Foreign Assistance. The team, consisting of researchers from the United States, Switzerland, Australia and Germany, investigated around 2,000 Chinese development aid projects from 2010 to 2012. The study covered more than 3,500 locations and a total aid value of $90 billion. Researchers also determined the birthplace and ethnicity of 117 leading African politicians for the study’s purposes. In this way, they were able to show that the regions of birth and ethnic origin of state leaders received a disproportionate amount of development aid from China. On average, 270% more financial contributions go to these locations rather than to other areas, the study reveals. In the past, China has repeatedly indicated that its foreign investments are not attached to any political agenda. But it is precisely this supposed neutrality that gives African elites the ability to use the funds to their own advantage, the researchers point out. “China’s position makes it possible for African politicians to transfer a substantial portion of Chinese funding to their constituencies,” Dreher indicated. Overview of Chinese development projects. The fact that leading African politicians use development funds to finance their own political agendas immensely undermines the effectiveness of Chinese development aid. But the study was not able to provide any evidence to this effect. Despite numerous studies on the subject, the authors say, the extent to which support for politically relevant regions leads to long-term economic improvements in poorer areas remains highly debated. A forthcoming study by Dreher and Fuchs is intended to shed light on the issue. But the international study refutes the widespread assumption that China’s development funding is mainly sent to regions with natural resources the country is interested in. “That was not confirmed,” said Andreas Fuchs. But here too, the researchers lack a more comprehensive analysis. The biggest recipients of Chinese development aid are the Democratic Republic of Congo, Ghana and Ethiopia with an annual total value of $7.9-12.1 billion. In the past, China has repeatedly been accused of using development funds to exert political influence. Joseph Kabila, for instance, is likely to have only won the 2006 presidential elections in the Democratic Republic of Congo largely thanks to Chinese development aid. Chinese firms made large contributions for infrastructure building in the years leading up to the election. In addition, Chinese embassies in several African countries provided scholarships for children of high-ranking politicians. “Chinese development aid only benefits those who are in power,” an EU diplomat in the Democratic Republic of Congo is said to have commented.